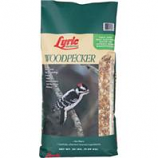 Experience Birding at its Best - with Lyric Wild Bird Food. 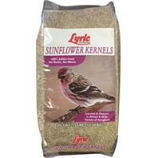 They provide quality, gourmet bird food where every morsel has been tested and approved as Bird Preferred. 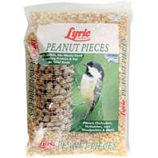 No Lyric product contains wasted filler grains that birds just won't eat. 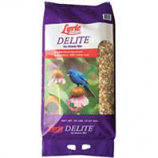 Lyric delite is a high protein mix that attracts a wider variety of birds that ordinary seed.. This shell-free waste-free weed-free mix attracts indigo buntins chickadees jays nuthatches woodpeckers and finches.. 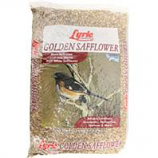 Some people stop feeding birds in the spring and summer because it can get messy.. Also the spring rains tend to spoil the food.. Because lyric delite has no shells it won't germinate and cause a mess..
• A Gourmet Blend For Chickadees, Woodpeckers, Nuthatches, Titmice, Robins, Orioles, Cardinals and More. • More Fruit and Nut Favorites. • No Fillers and Less Waste. • Premium Wild Bird Food Mix Specially Formulated To Attract Finch S and Similar Wild Bird. • Put In Wild Bird Feeder. Attracts cardinals grosbeaks nuthatches towhees and more to the feeder. A great source of protein and fat that will not attract lessdesirable birds like starlings and grackles. More nutrition and less waste. Reseablable bag with stay-fresh technology packaging keeps fresh longer. Made in u.s.a..
A premium mix designed especially to attract woodpeckers to outdoor feeders.. Put in wild bird feeder.. . . .
Great all around bird food for wild birds.. 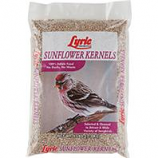 Contains no shells and is 100% edible.. Use in a variety of wild bird feeders as most birds enjoy sunflower kernels.. Refill feeders as needed.. . 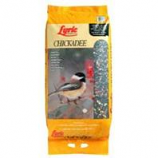 Premium wild bird food specially formulated for chickadees and similar bird. No fillers.. Put in wild bird feeder.. Refill when empty.. . .
A perfect treat for all those arboreal birds such as titmice nuthatches jays woodpeckers and chickadees. Keep this food dry for best results. . . .